The Narendra Modi government has been going to the town, claiming it has clamped down on corruption, but does the common Indian believe that? No, according to a recent survey. 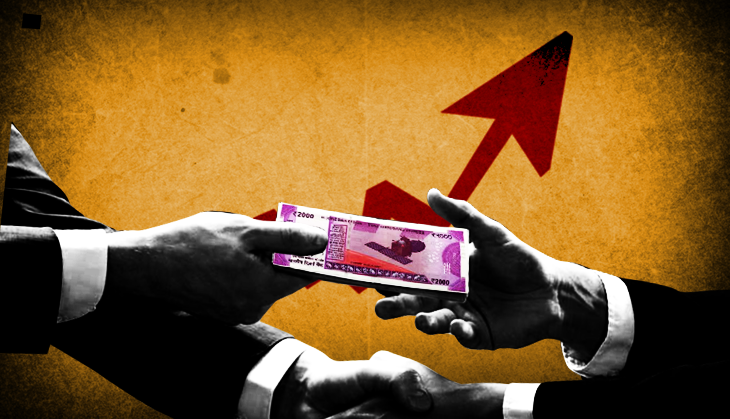 In fact, 37% respondents said corruption increased in the last one year while 45% believed it was at the same level, according to survey conducted by Transparency International India. The online survey was on a perceived level of corruption that in the last year across Indian states. It was released on the occasion of the UN anti-corruption day. The survey, conducted over 15 days, drew responses from 34,696 persons from 11 states of the country. The findings point out that in all states, the number of those who believed that there was an increase in corruption in the last one year exceeded the number of persons who believed that corruption had reduced over the same period. The survey, done in collaboration with LocalCirles, revealed that 51% of the citizens replied that their state government did not take any steps in the last one year to reduce corruption. Most of the respondents felt that local level corruption issues are still not being addressed. Forty five per cent admitted that they had paid a bribe at least once in the last 12 months, in order to get their work done. Currently, out of 30 States (including Delhi) there are nine states without a Lokayukta at present. Nearly 12,964 (about 37% of the persons) surveyed in the 11 states believed that there was an increase in corruption during the last year, while 15,622 (about 45%) believed that it remained the same. About 4,873 (about 14%) stated that they believed corruption reduced in the same period, while 1,235 (4%) of those polled replied that they can’t say about a probable increase/decrease in corruption levels. In the state of Uttar Pradesh, about 21% of the respondents said that corruption had reduced in the state. The number of those who believed that corruption reduced was strikingly low in the state of West Bengal, where only 3% of the respondents believed that corruption came down in the last year. In the state of Punjab, about 20% of the respondents said that corruption increased in the last one year. An equal percentage of respondents replied that they could not say whether corruption increased in the same period. The remaining 60% believed that corruption levels were the same as before. It is imperative to ascertain the sources, where corruption allegedly emanates from. The related national poll showed that 84% of the bribery transactions relate to local level bodies and wings of the local government, i.e. municipality, police, tax, power, property registration, tenders etc. Only 9% said most of the bribes were paid to the central government departments, i.e. PF, income tax, service tax, railways etc. Two per cent said it was paid to the private sector and 5% said it was paid to other parties like for school admissions, NGOs, courts etc. In two separate parallel polls, 51% of the citizens replied that their state did not take any steps in the last 1 year to reduce corruption while 45% submitted that they paid a bribe at least once in the last 12 months, in order to get their work done. The persons surveyed also suggested different ways to address corruption at local and state levels. Some of their suggestions included handpicking dedicated and honest officers and deputing them in known corrupt areas, anti-corruption agencies to expand its activities and conducts surprise checks at state levels, human intervention to be minimised in government offices and CCTV cameras to be installed, a state-level helpline to be started to report cases of corruption, and speedy investigation in corruption-related cases with heavy financial penalties". Transparency International India (TII) is an independent, non-governmental anti-corruption organisation of India.